This past weekend was the fifteenth anniversary for Spectrum Charter School in Monroeville. Spectrum is a high school specifically set up for autistic students, and my son KJ is graduating from there this year. The dinner was both a fundraiser for the school (with a variety of raffle and silent auction items), as well as an opportunity to recognize board members, staff, students (past and present), and their parents. 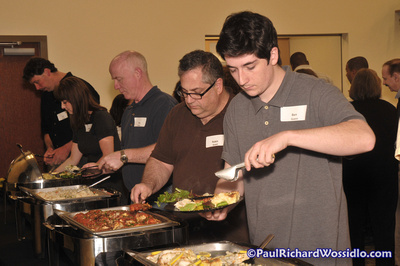 The food was excellent, and everyone had a great time. Of course, they asked me to photograph the event for them. Photos from the event can be found HERE. The password is "puzzle".